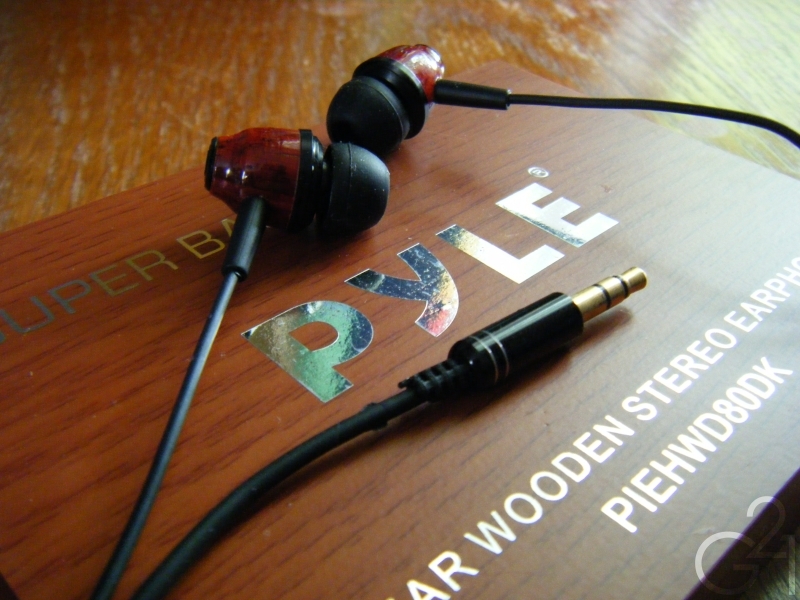 Browsing on Amazon earlier this week, I came across the Pyle Wood-Bud in ear monitors for $5.30, marked down from $20 or so. Against my better judgment, I bought them, the grand total coming to $10.88 after the $5.58 shipping costs. You’d think I would’ve realized something was up when I saw the incredibly low price but also when the shipping costs totaled more than the price of the IEMs themselves but nope. I ordered them anyway. 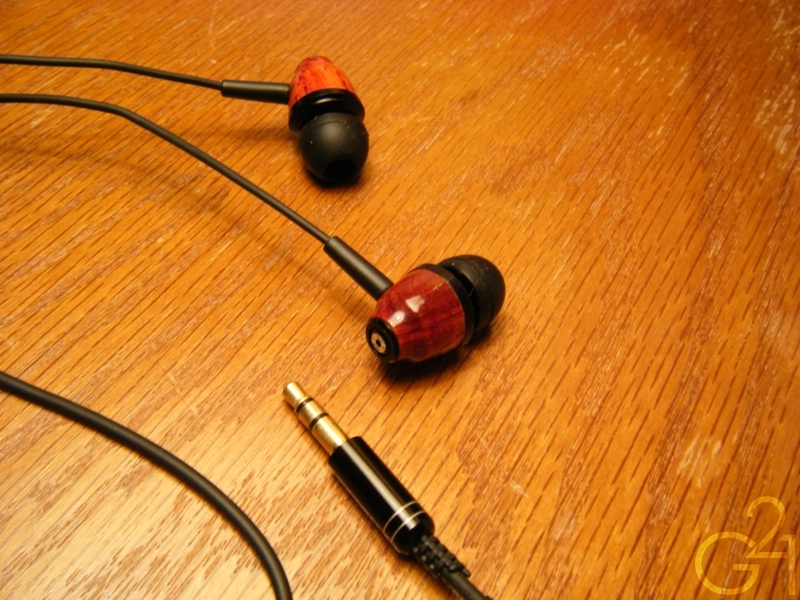 Well they arrived yesterday and after listening to them for about five minutes over two days…I want my money back. 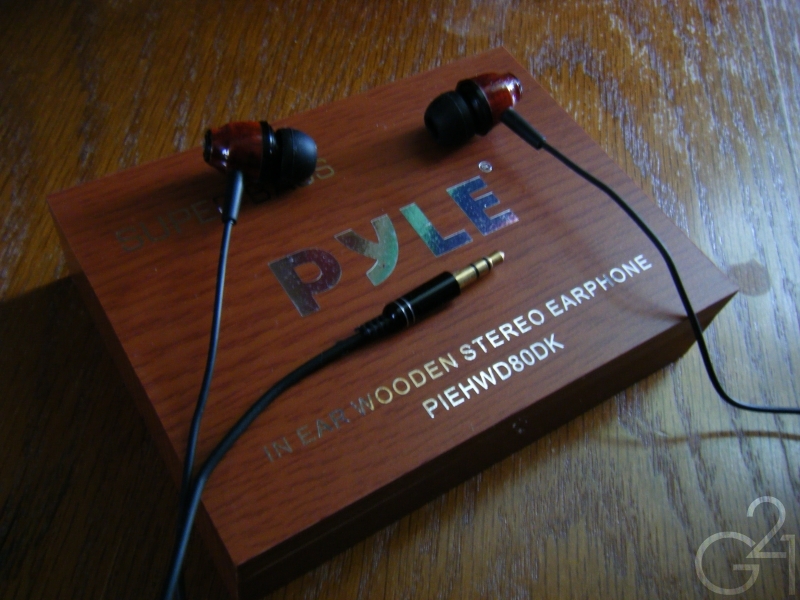 The Wood-Buds arrived in what feels like a balsa wood box that features the equivalent of faux wood-grain stickers pasted over the box to give it the illusion of class. Red flag one went up in my mind. When I opened the box, I found the buds in a plastic casing that had a matte feeling to it, once again trying to give these the illusion of class, as if they were inlaid in velour. Removing the plastic shell from the case, I expected to find two more pairs of silicone eartips, as the medium sized tips are slightly too big for my ears. Again, I was wrong. Red flag number two went up. After grabbing a pair of small single flange eartips from my collection, I decided to give these a listen, as all of their faults thus far could be forgiven if the sound quality was good enough. So, I jammed these in my ears and yet another red flag went up. 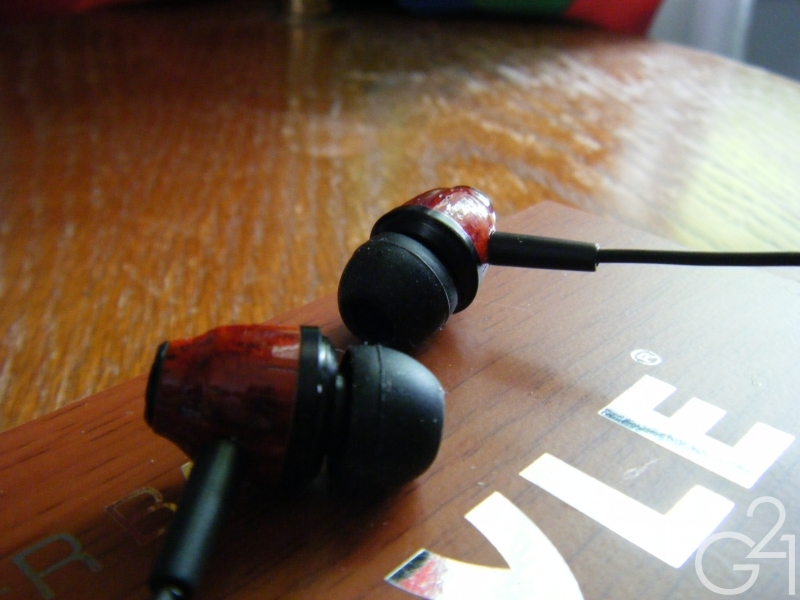 There was some massive driver flex on the left earbud which occurred at the slightest movement of my jaw. Very annoying. So, I clenched my jaw shut, loaded up some of my favorite tracks and began to listen. Not even two minutes later, I ripped them out of my ears and threw them aside. Yes, they were that bad. The sound was hollow, the midrange was both sucked out and shrill at the same time, the overwhelming amount of bass was muddy, flat and devoid of texture, highs were nonexistent and everything just seemed to be mashed up together. There was no differentiation between the mids, lows and highs, everything sounded like it was thrown into a giant blender and throughout the frequency range, there were more peaks and valleys than the Rocky Mountains. 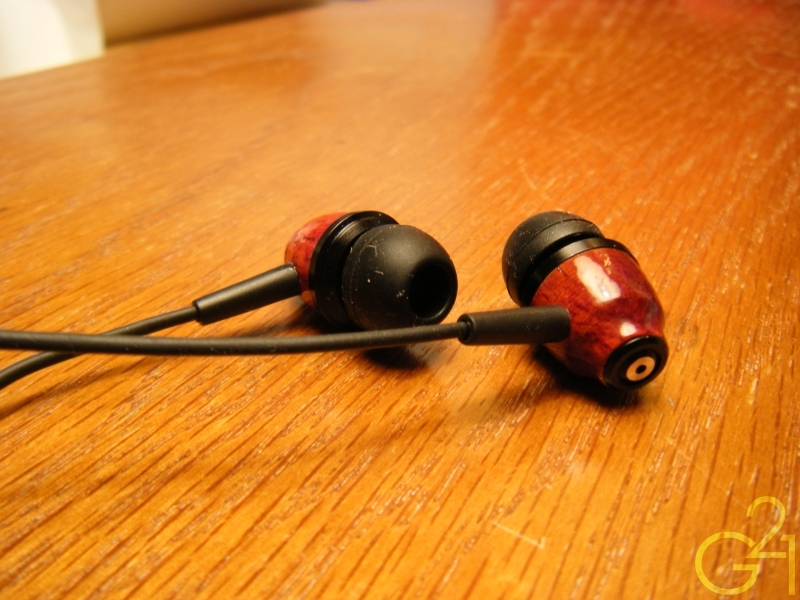 The sound these IEMs put out is, bar none, the worst I’ve ever heard. And Pyle is charging $20 for these things. 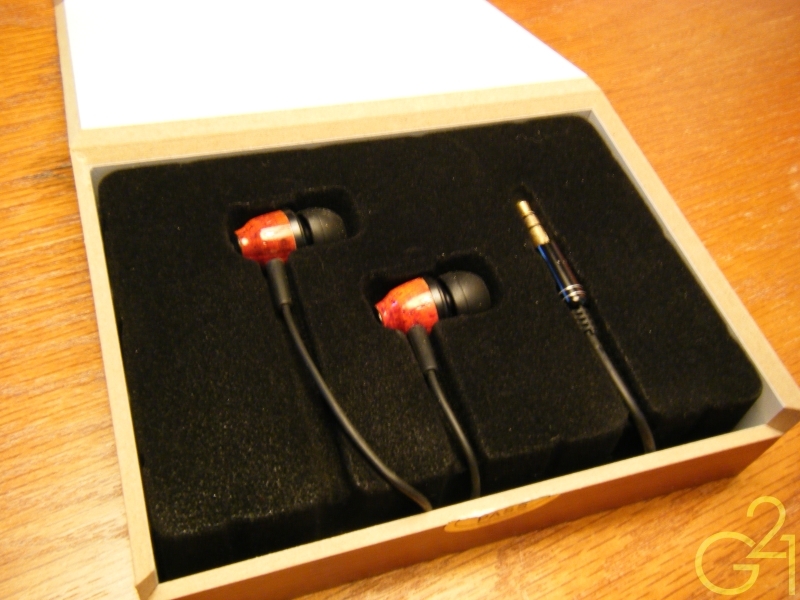 I thought burning them in for the rest of the day and overnight (they have about 15 – 20 hours of use now) but no, the mids calmed down ever so slightly but overall, they still sound like crap. One thing I did notice though is that the sound can be improved when the vents at the rear of the enclosure are covered so I decided to perform a minor mod by covering them with some Blu-Tack and sure enough, the sound is improved. Driver flex remained the same but the sound isn’t as hollow or sucked out anymore. 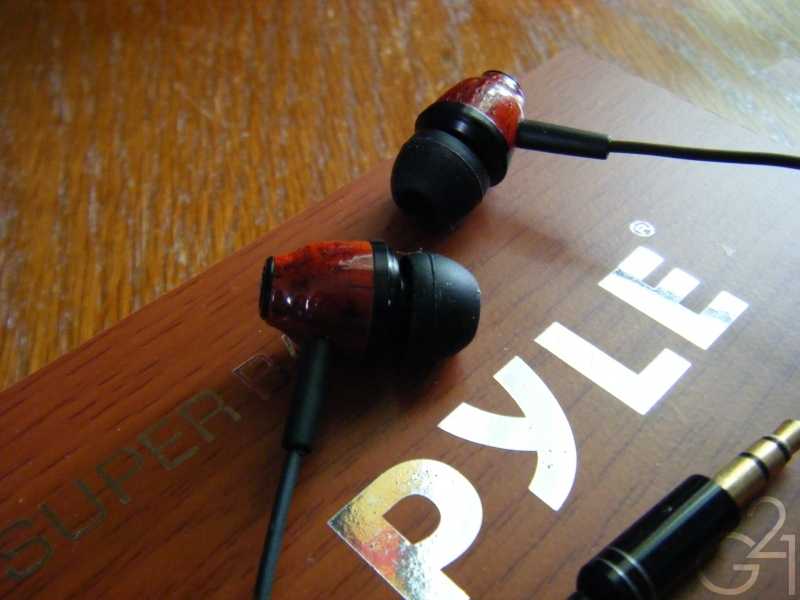 They suddenly became tolerable but only barely so and they still sound quite bad in comparison to even the lowest performing headphones and IEMs in my collection. Every review scale needs a statistical baseline to which everything can be compared. 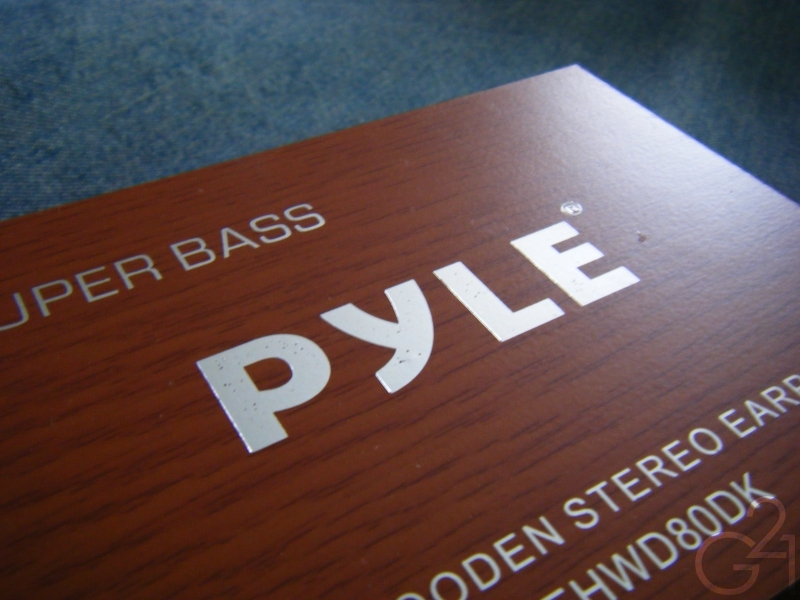 The Pyle Wood-Buds are my new baseline. They are the absolute worst headphones I have ever used and I imagine that everything I will use from here on will be better. I’m still debating on whether or not to keep these, as a reminder of just how bad headphones can get and to compare to my other headphones to remind me just how good they are in comparison. Oh wait, they seem to have already developed a short at the 3.5mm plug. Yep, they’re going back. I’ll just do my comparisons from memory as the unprecedentedly terrible sound will likely be burned into my memory. Do yourself a favor and avoid these like the plague. These are absolutely terrible, no matter the price.